Some 2,500 Central American and Caribbean migrants have gathered in the southern state of Chiapas. MEXICO CITY — Mexican immigration officials plan to issue humanitarian visas on a “limited basis” starting Monday to some of the roughly 2,500 Central American and Caribbean migrants gathered in the southern state of Chiapas. The National Migration Institute said Sunday it will give priority to women, children and those over the age of 65 “whose situation merits” such visas. The authority said it would also provide bus transportation back to Guatemala, El Salvador and Honduras for citizens of those countries, and air transport home to migrants from Cuba, Haiti and Nicaragua. 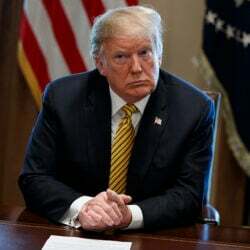 The statement came as President Donald Trump threatens to close U.S. border crossings with Mexico unless the country prevents thousands of Central American migrants from reaching the U.S. border, where they either cross stealthily or request asylum. U.S. officials say their country’s immigration system is overwhelmed. Department of Homeland Security Secretary Kirstjen Nielsen said last week her agency apprehended more than 75,000 migrants at the U.S. southern border in February, a 12-year high. U.S. law does not require asylum seekers to present themselves at an official U.S. crossing, though, and many request asylum after having already entered the U.S.
With a backlog of more than 700,000 immigration cases, asylum seekers can wait years for their cases to progress, and are often released in the meantime to live in the U.S.
Mexico appears to be both tiring of the migrant caravans and eager not to anger the United States. 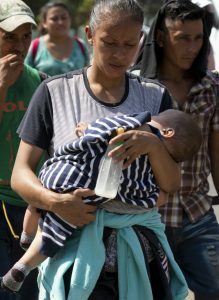 It has stopped granting migrants humanitarian visas at the border, and towns along the well-traveled route through southern Mexico sometimes no longer allow caravans to spend the night. Fewer private citizens are offering food and rides to the weary travelers. A U.S.-Mexico border shutdown would be a major blow for commerce. The U.S. and Mexico trade about $1.7 billion in goods daily, according to the U.S. Chamber of Commerce, which said closing the border would be “an unmitigated economic debacle” that would threaten 5 million American jobs. Starting in the second half of May, Mexico’s immigration institute said Sunday the country will issue humanitarian visas in the capitals of El Salvador, Guatemala and Honduras–as well as in San Pedro Sula, Honduras–”for cases that merit this condition.” Also, from those cities, Mexico will continue to issue temporary work visas for Central Americans wishing to live and work in southern Mexico. The goal of the visa restrictions, the institute said, is to achieve a more orderly, regulated and safe international movement of people. The largest of last year’s migrant caravans through Mexico contained about 7,000 people at its peak. Migrants have been coming together in caravans to avoid falling prey to kidnappers, thieves and human trafficking networks as they traverse Mexico.